Depend on your Generac specialists at Hale’s to protect your power! When you begin your journey to take control of YOUR power you will meet your sales specialist who will be dedicated ensuring you make the right decision for your home. They will guide you through the steps and provide tools and resources to make investing in emergency backup power both easy and affordable. Our team of specialists will review your needs with you and answer any questions you may have about your power protection package. Their years of knowledge in the industry will ensure you have the best solution for your needs. After you purchase a Generac Automatic Standby Generator for your home or business our team of installation experts will work with you to make the installation process simple. Our office staff will ensure you are well informed about your Generac Generator’s installation status and will guide you through any steps you need to take. Your delivery crew will make sure your new investment is placed at your home safely and securely. 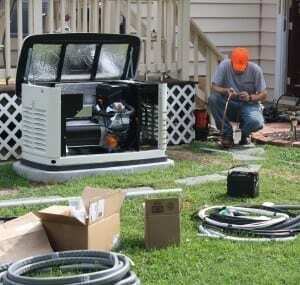 Your installation team will connect your Generac Generator to your home based on NEC Electrical Code and Generac guidelines. These trained electricians and Generac certified technicians will ensure your new generator is safely connected to your home, ready provide power when you need it! 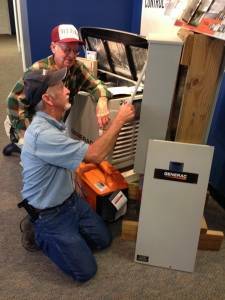 Once you have your Generac Generator installed you will be introduced to our Service and Parts Specialists. Your Service Specialist TEAM will make sure you are notified when your generator needs service, perform generator repairs, file warranty claims, and monitor your generator via Generac’s Mobile Link Remote Monitoring (if equipped). Your team of Generac Certified and Trained Technicians are dedicated to ensuring your Generac Generator stays ready to power your home during power outages for years to come. They stand ready on call and are available 24/7/365 should emergencies arise and your power is out. Our Parts Specialists are available to provide you with replacement parts and accessories for your Generac generator or power washer. Your parts specialist will assist you in finding the right part or accessory for your needs and specific model. Want to become a part of our growing team of people who help others take control of their power? Taking Control of Your Power Shouldn’t be a Hassle! That is why we have dedicated our business to generating power for YOUR life! Trust the experts at Hale’s to provide the power you need for your life.